In the aftermath of mass shootings, it’s no longer just the trauma of the incident that survivors have to deal with; some of them face accusations of being paid actors. A conspiracy video appeared on YouTube that claimed one of the students from last week’s Florida high school shooting is a “crisis actor.” The clip has since been removed, but not before it became the number one trending video on the site. Following the Las Vegas and the Sandy Hook shootings, several videos appeared on YouTube claiming the incidents were faked. Many creators promoted the idea that these were covers designed to introduce tighter gun control laws or repeal the second amendment. Similar clips appeared on the Google-owned service following the Florida incident in which 17 people from Marjory Stoneman Douglas high school were killed. One of these showed student David Hogg, who has given several TV interviews since the attack. The video was of a CBS 2 Los Angeles news report on a viral video Hogg posted last year showing one his friends in an altercation with a lifeguard, which you can see below. The “actor” video reached over 200,000 views, pushing it to the top of YouTube’s trending section. It was taken down three hours after Motherboard’s story was posted. Searches for Hogg’s name were still surfacing other conspiracy videos, but most of these now appear to have been removed. 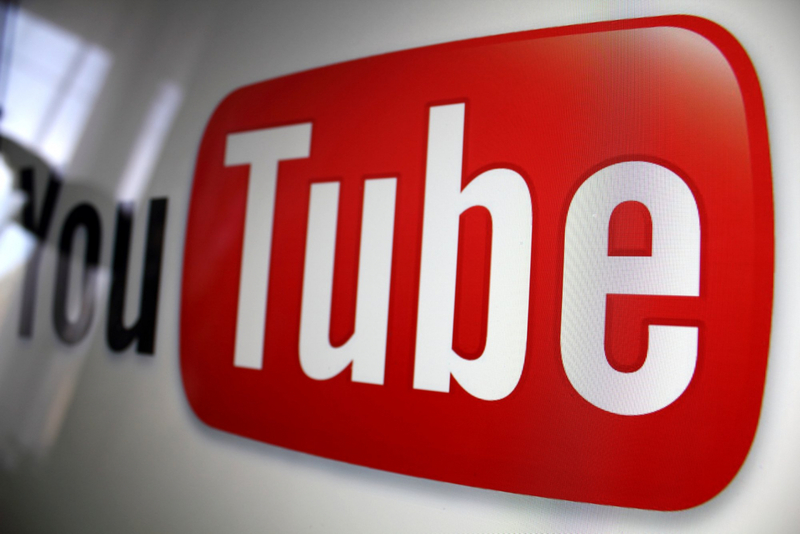 YouTube has tried to tackle the problem of controversial videos by adding more human moderators, removing flagged videos, and de-monetizing the channels that create them, but its algorithm continues to surface clips that are already bringing in a high volume of viewers. A YouTube spokesperson said the video wasn’t spotted by its system because it contained a clip from an "authoritative news source." This video should never have appeared in Trending. Because the video contained footage from an authoritative news source, our system misclassified it. As soon as we became aware of the video, we removed it from Trending and from YouTube for violating our policies. We are working to improve our systems moving forward. A follow up statement confirmed that the site’s algorithm doesn’t always work as intended when it comes to promoting news items. In 2017, we started rolling out changes to better surface authoritative news sources in search results, particularly around breaking news events. We’ve seen improvements, but in some circumstances these changes are not working quickly enough. In addition, last year we updated the application of our harassment policy to include hoax videos that target the victims of these tragedies. Any video flagged to us that violates this policy is reviewed and then removed. We’re committed to making more improvements throughout 2018 to make these tools faster, better and more useful to users. Speaking about the claims he is a crisis actor, Hogg told CNN, "I'm someone who had to witness this and live through this, and I continue to be having to do that."